Engineered with a rim that’s precisely machined for lighter weight and uncompromising strength, the Crossmax Pro elevates the XC experience—whether you’re racing, training or just shredding trails. With an internal width of 22mm and our patented ISM 4D technology, the rim provides a lightweight and dynamic ride quality. The ISM 4D process machines the rim between each spoke hole. This reduces weight without compromising strength, making it easier to climb and accelerate. The Zicral spokes and Isopulse (rear) lacing increase wheel stiffness for sharp, predictable handling. This is a fully tubeless UST system without the use of tape, making it easy to experience the benefits of tubeless, including better traction and fewer punctures. Accelerate faster, use less energy on climbs. ISM 4D machined rim is lighter without compromising strength. 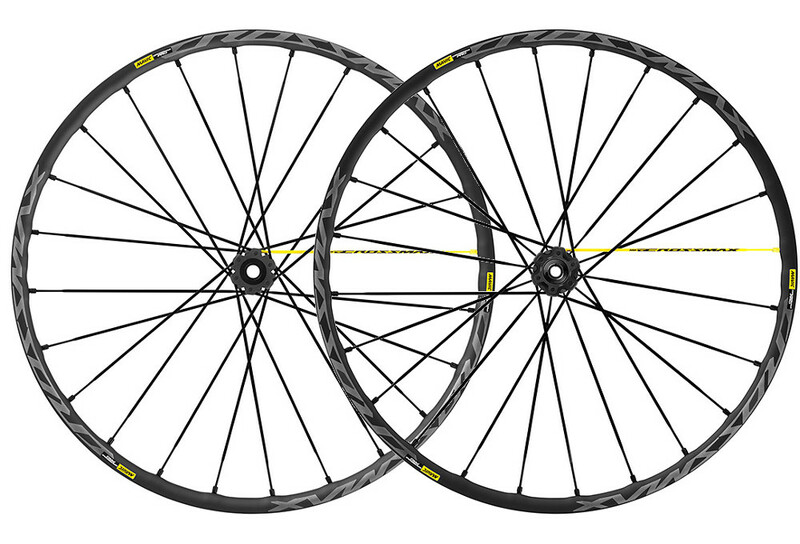 24 Zicral spokes with Isopulse lacing (rear) ensures a stiff and responsive ride. Ride challenging XC terrain with more control. 22mm hookless rim for increased comfort, control and traction. Better traction, reduced risk of flats with UST tubeless technology. Simple tubeless tire setup with no tape needed. Run lower tire pressure for increased control and comfort.